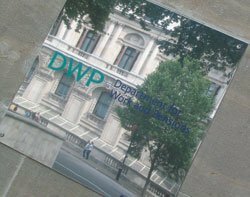 The Department for Work and Pensions (DWP) lost the tax payer £1.1bn in benefits overpayments last year, according to a report from the National Audit Office (NAO). Around £800m was also underpaid during the same period, found the NAO. Since 2006-07 and 2009-10 there has been no discernible decrease in underpayments and overpayments due to customer error, despite a five year strategy for tackling error launched in January 2007, said the report. Amyas Morse, head of the National Audit Office, said the DWP faces a significant challenge in tackling errors. "The Department has demonstrated a firm commitment to tackling administrative error, while its resolve to tackle customer error has so far been less evident. It now needs to bring its focus on customer error to the same level. The key to success in each area is a coherent strategy supported by good information on what works to deliver the best results," said Morse.